To many Americans, the war in Vietnam was, and remains, a divisive conflict. Now almost fifty years after the beginning of major U.S. combat operations in Vietnam, the war has faded from much of America's consciousness. Over half of the U.S. population was born after the war and has no direct memory of the conflict, yet this does not lessen its importance. The massive American commitment - political, military, and diplomatic - to the independence of South Vietnam beginning in the 1950s and continuing with U.S. direct combat operations in the 1960s and early 1970s makes it important to remember those who served. 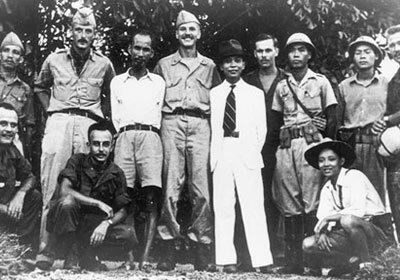 U.S. involvement in this corner of Southeast Asia began after World War II when Vietnam was fighting for independence from France. Although generally favoring Vietnamese independence, the United States supported France because the rebels - or Viet Minh - were led by Communists and in the days of the Cold War U.S. officials considered any and all Communists to be little more than the puppets of Moscow and Beijing. France's defeat in 1954, the bifurcation of Vietnam into a Communist North and non-Communist South, and America's assumption of the job of training the armed forces of the newly created non-Communist Republic of Vietnam pulled the United States deeper into the conflict. Framed primarily as a fight to defend democracy against the forces of international communism, the United States gradually committed more troops and materiel to fight Communist-led Southern guerrillas (or Viet Cong) and the regular military forces sent to South Vietnam by the politburo in Hanoi. By the time President Lyndon B. Johnson committed major combat units in 1965, the United States had already invested thousands of men and millions of dollars in the fight to build a secure and stable South Vietnam. That commitment expanded rapidly until by 1969 the United States had over 365,000 soldiers in every military region of South Vietnam with thousands of 6 other servicemen and women throughout the Pacific area in direct support of operations. The war saw many technological innovations including the massive use of helicopters, wide-scale use of computers, sophisticated psychological operations, new concepts of counterinsurgency, and major advances in military medicine. Yet, as in most wars, much of the burden of battle was still borne by the foot soldiers on the ground who slogged over the hills and through the rice paddies in search of an often elusive foe. The enormous military and political effort by the United States was, however, continuously matched by the determination of North Vietnamese leaders to unify their country under communism at whatever cost. That determination, in the end, proved decisive. Negotiations accompanied by the gradual withdrawal of American forces led to the Paris Peace Accords in January 1973, effectively ending the U.S. military role. 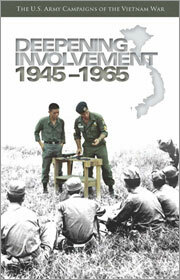 The continued existence of an independent South Vietnam, however, was of short duration. Two years after the American exit the North Vietnamese Army overran South Vietnam and sealed its victory in April 1975. The vast majority of American men and women who served in Vietnam did so in the uniform of the United States Army. They served their country when called, many at great personal cost, against a backdrop of growing uncertainty and unrest at home. These commemorative pamphlets are dedicated to them.